Punjab National Bank scam: ED seizes diamond jewellery worth Rs 1 crore from Patna outlet - Integration Through Media ....! PATNA: The Enforcement Directorate (ED) today seized diamond jewellery worth around Rs 1 crore from an outlet here that has business links with PNB scam accused Nirav Modi and Mehul Choksi, ED officials said. “The ED today carried out raid and seized diamond studded jewellery worth around Rs 1 crore from the 'Just In Vogue' outlet,” the officials said. 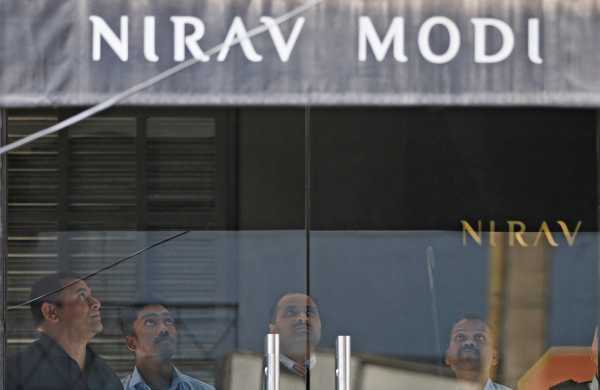 The “Just In Vogue” outlet, owned by a Mumbai-based businessman, sells diamond studded jewellery items designed by the Gitanjali Jewellers, the chain of shops run by Nirav Modi and his maternal uncle and business partner Mehul Choksi, the two accused in the PNB scam case. After the scam surfaced, the 'Just In Vogue' outlet removed all diamond jewelleries that had been on display and replaced them with watches, ED officials said. During the raid, the outlet's employees claimed it sells watches and not jewellery items. The ED team members then searched the outlet and seized diamond studded jewellery worth around Rs 1 crore from the locker, the officials said. ED's Patna zonal office had yesterday seized jewellery worth Rs 2.07 crore from a Gitanjali showroom here.